← Happy Birthday, Charles Darwin! On the celebrated day of romance, one of the Department’s PhD researchers, Judith Watts has seduced the national media with her tales of Mills and Boon’s naughty side. 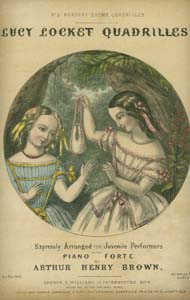 Judith’s PhD research on ‘Mills and Boon and the Limits of Romance’, supervised by Alison Donnell and Andrew Nash, has been focusing on the wonderful archival holdings of the Mills and Boon publishing company in the University’s Special Collections. Delighted by the substance and vibrancy of this archive, Judith has begun to uncover the untold stories of this renowned brand of romance fiction. Judith is also participating in the University of Reading’s sector-leading initiative to give doctoral students skills training in Collections-Based Research. This entry was posted in Department of English Literature news and events and tagged Department of English, Department of English Literature, Dr Andrew Nash, English Department, English Literature, Judith Watts, Mills and Boon, Professor Alison Donnell, Reading, University of Reading, University Special Collections. Bookmark the permalink.